Cats are awesome Pets. But sometimes they finds the desire to bite the owner. If this happens, you should take this seriously, because in the oral cavity of a pet contains a large number of bacteria and germs. Ignoring the small bite, you can bring yourself a lot of trouble. Infection develops in more than 40% of cases of bites. 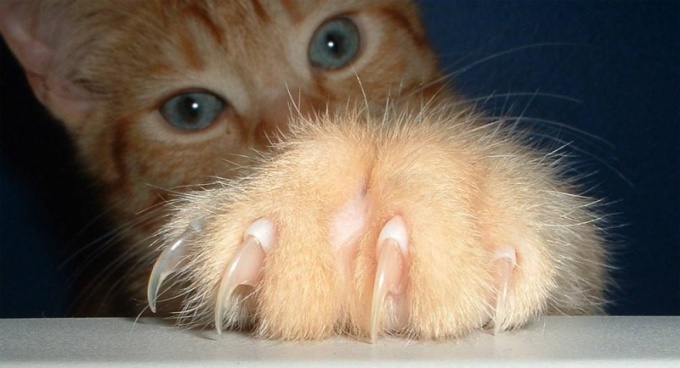 When you bite the cat first, rinse the wound with warm water using an antibacterial soap. This must be done in order to kill all bacteria and microbes in the saliva of the pet. The saliva of the animal threat. Can occur infection with tetanus or rabies. After washing the bitten place should be treated with hydrogen peroxide or any alcohol-containing solution. Then again rinse it with water, anoint with antiseptic or antibiotic, and then cover the wound with a bandage to protect the wound from dirt. To the affected area it is useful to apply cold. Do not risk your health and after first aid go to the hospital. Most likely, you will need more thanthat information about the animal that bit you, to rule out rabies. This data is about whose the cat (domestic or homeless), does he have contacts with the street, what floor you live., where he walks, and do it to other animals.Cat bite wounds have a long healing and abscess 2-4 times more often than any other wound. Suppuration leads to its healing by a secondary tension, which promotes the formation of coarse deforming scar. In addition, the wound still contains the microflora of the oral cavity of cats (aerobic and anaerobic microorganisms). Moreover, in most cases, become infected with precisely the punctures from the teeth, and not lacerations.To prevent suppuration of wounds after the bite, the doctor may recommend you inhibitor - protected penicillins (e.g. amoxicillin/clavulanate). When early treatment in the hospital is enough to pass the course of treatment is 5 days, with later 7-10 days. Antibiotics typically helps to prevent the growth of bacteria trapped in the wound, and thus, to avoid inflammation and inflammation. Maximum results can be achieved if you start taking medication within 2 hours after the bite. There are diseases, the existence of which many have never heard. This is bkts – disease of the cat scratches. In medicine, it appears as a benign granuloma or lymphoreticular Mollere. The causative agent of this acute infectious diseases the bacterium Bartonella is on the teeth, the paws, the claws of a cat. You can become infected not only when she scratched your arm or leg, but even if you just stroked. Bartonellae infected half of all cats, domestic and especially the homeless. The main carrier of these bacteria – fleas. But if your cat does not happen on the street, not to worry – she's fine. Most cats mozillamozilla in warm, southern regions of the country. The risk of being infected with them in winter and more in kittens than in adult animals. Bkts generally the victims are children and young people up to 20 years. First bkts were described more than half a century ago and it seems to be understood, but still full clarity with it. It is proved, for example, that bartonellosis can be and dogs. However, scientifically confirmed cases of infection from them. Clear to the end, why by the cat's Bartonella not cause any harm. But from infected person becomes ill. Moreover, the disease can develop in different ways. One set is for sure: this is largely dependent on the immune system. If you are strong, you are likely to get off easy malaise. Lymph nodes probably slightly increase, the temperature rises slightly, but the sores on the site of the scratch or bite will heal quickly, and the illness will pass without any treatment. But when the immune system is weakened, the disease runs hard and long. In addition to the appearance of sores, highly inflamed and increase coming from a place of trauma lymph nodes. Often they fester and cause significant pain, especially in axillary, inguinal areas. Can long to keep high temperature. The person experiences extreme weakness. Possible headaches, nausea, vomiting. Often the disease is seemingly subsides, then escalates again. Treatment of this lymphadenitis is delayed three to four months. But the most dangerous – complications, which can result bkts. They are very diverse and unpredictable. This conjunctivitis, optic neuritis and sepsis, and skin tumors, elephantiasis of the extremities, thrombophlebitis, hepatitis. Rarely, but it happens, patients with smite pneumonia, osteomyelitis, severe pathology of the heart, spleen. And in very critical conditions – even encephalitis, meningitis. Cat's scratch, or the wound must be immediately disinfected. Ideally, the first hydrogen peroxide solution, and then with tincture of iodine or green paint. If the wound is deep, should go to the fracture clinic. The complexity of the treatment bkts that the Bartonella are virtually no antibiotics. With the exception of one: "Azithromycin" (synonyms "Sumamed", "Z-factor"). And he acts not as efficient as it should be. Festering lymph nodes it is necessary to open and remove the pus. Without such an operation can not do, because the risk of General infection of the body – sepsis. So no matter how you love cats, it is better to be careful with them! 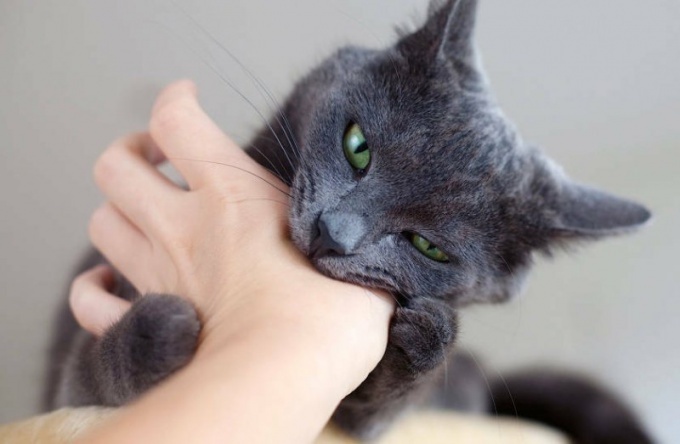 Biting Pets – a fairly common phenomenon. To such a injuries are not serious, although they can carry a certain amount of risk. The bite of a cat, like a dog bite, may, for example, result in contamination. Whatever this bite must be properly treated. The first thing you need to do as soon as possible to clean the wound. The bite may not be deep, however wash it you still need, the mouth of a cat contains a large number of microbes that are potentially dangerous for human health. Rinse the wound with plain water. In the case of severe bleeding and deep bites will cover the wound with a bandage and go to the doctor, she needs to see a specialist. Deep wounds are not the only reasons for seeking medical help. Contact your doctors if you feel severe pain, they can indicate nerve damage. Do not attempt to self-treat if you have disease not allowing the body to fight infection (diseases of the liver and lungs, diabetes, etc.). If you are asked to physicians, considering that the wound is not serious, it can appear infection. It is likely to spread on an already dead part of your skin. In such cases, doctors sometimes do not hurry to treat the bites. Some such injuries are given a few days, they began to heal themselves. This time is necessary to ensure that the bite does not contain more infections. Then the injury is sutured in the usual way. In some cases, the bite can be deep enough to require surgery for its treatment. However, this most often occurs through the bites of dogs than cats. In addition to handling the bite doctors may prescribe various antibiotics that will help to prevent further spread of the infection. Bites of cats, antibiotics are prescribed more frequently than dog bites. This is because the risk of catching an infection from a cat bite is much higher. Antibiotics are also prescribed in cases where the injury over time does not pass, and only causes more and more discomfort, if you are preparing for surgery and you must get the infection under control as soon as possible. Indications for use of this is and complications of trauma, e.g., redness, the appearance of tumors, bleeding, etc. Rabies is an extremely dangerous disease that is passed from animals, for example bites. The most common cause of this disease become stray dogs, however, might be dangerous and can bite cats. Rabies progresses very quickly, so if you have a suspicion that the cat may be infected (for example, you don't know, did the master of her flu shot), immediately seek medical help.